Film-Arcade.net: First Stills and New Trailer for Gore Verbinski's "A Cure for Wellness"
First Stills and New Trailer for Gore Verbinski's "A Cure for Wellness"
20th Century Fox recently released the official teaser trailer for the upcoming Gore Verbinski film "A Cure of Wellness". The film stars Dane DeHaan, Jason Isaacs and Mia Goth. 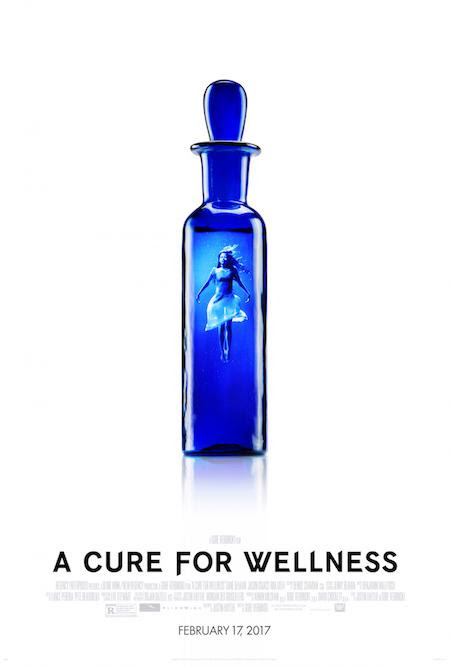 "A Cure of Wellness" hits theaters on February 17th. An ambitious young executive is sent to retrieve his company's CEO from an idyllic but mysterious "wellness center" at a remote location in the Swiss Alps. He soon suspects that the spa's miraculous treatments are not what they seem. When he begins to unravel its terrifying secrets, his sanity is tested, as he finds himself diagnosed with the same curious illness that keeps all the guests here longing for the cure. From Gore Verbinski, the visionary director of THE RING, comes the new psychological thriller, A CURE FOR WELLNESS. Sci-Fi and Action Collide with Official Stills for Robert Rodriguez Upcoming Film "Alita: Battle Angel"
Stills for the Wrestling Comedy "Fighting with my Family"
Official Trailer for the Inspirational Drama "Breakthrough"
Teaser Trailer for the Upcoming Drama "After"
Official Trailer for Darren Lynn Brosuman's Latest Film "St Agatha"
Official Trailer for the Upcoming Thriller "An Affair to Die For"
Official Trailer for the Upcoming Thriller "Number 37"
Official Trailer and Poster for the Upcoming Boxing Drama "Tiger"
Get Ready for the Chase with "S.M.A.R.T. Chase"
Offical Trailer for Netfilx's Upcoming Release "Outlaw King"
Copyright 2018 Film-Arcade.net. All Rights Reserved. Film-Arcade.net (2015). Simple theme. Powered by Blogger.